Paa Kobina Turkson is a Professor of Veterinary Epidemiology in the Animal Science Department of the School of Agriculture, University of Cape Coast. He is a veterinarian by profession and a veterinary epidemiologist by specialization. He obtained a Bachelor of Veterinary Medicine and an MSc in Veterinary Public Health from the University of Nairobi, Kenya in 1983 and 1986, respectively. He earned a PhD in Epidemiology from the College of Veterinary Medicine, North Carolina State University, Raleigh USA in 1998. He joined the University of Cape Coast in 1988, as a lecturer rising to be a full Professor in 2003. He has rich experience in academic leadership having been head of department, a vice dean and a dean. He was the Dean of the School of Agriculture UCC for 6 years and followed up with being the first dean of a School of Applied Sciences in a private university, Central University College Accra from 2008-2010. He started a third 3-year term as the Dean, School of Agriculture, UCC in August 2011. He has collaborated or provided specialist services in projects funded/implemented by USAID, DFID, ILRI, IFPRI, The World Bank, FAO, AU/IBAR, Dutch government, The European Union, IAEA, Association of Commonwealth Universities/British Council, Ministry of Food and Agriculture, Ghana and others. He was a Research Fellow Trainee with the International Atomic Energy Agency in Austria and Kenya from 1986-1988. He was a Visiting Scientist at the Royal Veterinary College, University of London in 2007 on a Commonwealth Academic Fellowship. He has published/worked extensively in reputable refereed international and local journals in animal health, particularly delivery of animal health/veterinary services in Ghana, avian influenza, African swine fever, contagious bovine pleuropneumonia and other transboundary animal diseases. He has led in the development of curricula for programmes in agriculture and in animal health at Diploma and BSc levels and an MSc in Livestock Systems Management. He has supervised student projects/research and dissertations/thesis at undergraduate and postgraduate levels. He is a reviewer for a number of local and international journals. He is married to Mrs Anita Turkson and they have two children. Prof Tuckson brings a highly specialized discipline to AJFAND’s review process. Your support Prof Tuckson is highly appreciated. ED. Dr Richmond Aryeetey is a Lecturer in the population, Family and Reproductive health department of the University of Ghana. 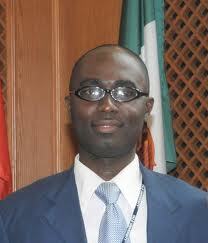 Currently, he is Head of the Biostatistics Department of the University of Ghana’s School of Public Health. He obtained a combined Bachelor of Science degree in Nutrition and Food Science from the Department of Nutrition and Food Science in 1999 from the University of Ghana. Thereafter, he worked for two years as a research assistant with the World Health Organization/Multicenter Growth Reference Study in Ghana before going to pursue a master of public health degree. With the Public Health Degree, he worked briefly with the Ghana Health Service as a Research officer at the Dodowa Research center, managing district surveillance data for the research center until he left in August 2003 to pursue a PhD in Human Nutrition at the Iowa State University of Technology in the United States. At Iowa State, he won first and second place for best poster presentation in two consecutive years for the Annual Normal Borlaug Lectures. His PhD dissertation assessed the mechanisms by which subclinical mastitis affected infant breast milk intake and child growth and earned him Iowa State University’s Research Excellence Award for the Summer of 2007. Dr Aryeetey returned to Ghana in the same year he completed his studies abroad and has been teaching a variety of subjects at the School of public health including public health nutrition, child growth and development, and malnutrition and food security. During this period, he has mentored students at all levels of studies including about 20 master’s and doctoral students. 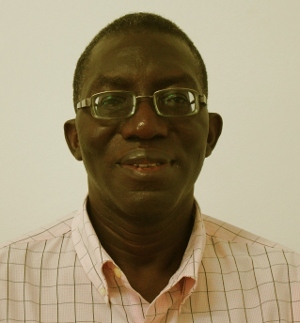 Dr Aryeetey’s research interest is multidisciplinary and cuts across food security, HIV and metabolic disorders, obesity and hypertension, infant and young child feeding, family planning, and eLearning. Dr Aryeetey’s research has been carried out with funding from the European Commission, the Ghana Michigan Collaborative Health Alliance for Reshaping Training, Education and Research (Charter), the University Of Ghana’s Office Of Research, Innovation and Development, and more recently, the Lifespan / Tufts / Brown Center for AIDS Research (CFAR). Additionally, Dr Aryeetey serves on many boards and committees of the University, The College of Health Sciences, and the School of Public Health. He currently has 10 peer reviewed articles to his credit and more than 20 conference presentations. As part of his extension duties, Dr Aryeetey provides advisory services to the Ghana Health services and other health related public and private agencies. He has been a member of the core group leading civil society actions on Nutrition as part of the Scaling up Nutrition movement in Ghana. Between 2008 and 2011, Dr Aryeetey was Public Relations Officer of the Ghana Nutrition Association. In 2011, he also became a Vice President of the Federation of Africa Nutrition Societies (FANUS). Currently, is a member of prestigious professional groups including the American Society of Nutrition (ASN), the African Nutrition Society (ANS), the International Society for Research on Human milk and lactation (ISRHML) and the Ghana Science Association. Dr Aryeetey has been reviewing articles for journals such as the Journal of Human Lactation, Acta Peadiatrica, Pediatrics, maternal and Child Nutrition, and AJFAND. Dr Ayerteey has been exceptional in connecting AJFAND to more reviewers as he also reviews for the journal. Dr Ayerteey, we at AJFAND value your continued support.ED. 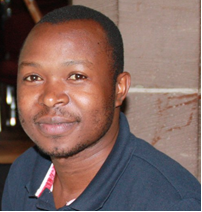 Ochieng Justus is currently a Graduate Research Fellow with International Institute of Tropical Agriculture (IITA-Burundi, Uganda) working in Consortium for improving agriculture based livelihoods in Central Africa (CIALCA). He is also a Doctoral Fellow at Department of Development Economics, Migration and Agricultural Policy (DEMAP), University of Kassel, Germany. He was the Research Assistant at Collaborative Msc in Agricultural and Applied Economics in Eastern, Central and Southern Africa (CMAAE), since 2010- 2011. He obtained his MSc in Agricultural and Applied Economics, specializing in Agribusiness Management from Egerton University/University of Pretoria –South Africa, in 2009, and (BSc) in Agricultural Economics from the Egerton University in 2007. His interest is in the area of Agricultural Market Development, Agricultural value chain Management focusing on issues of rural value and Supply chains and Product Markets, Poverty and Food Security, Technology Adoption, and Project Planning and Management. He has wide experience in value chain analysis and research. He has been consultant to local NGOs in Kenya and CIAT, Uganda. He is also member of African Association of Agricultural Economics (AAAE), Agricultural Economics Society (AES), African Community of Practice on Managing for Development Results (AfCOP- MDfDR) and International Network for Family Poultry Development (INFPD) of Food and Agriculture Organization (FAO). Mr Ochieng is one of our dedicated young reviewers. We wish him all the best in his pursuit for higher achievements in research and academia. Thank you, Justus, for your unwavering support. ED.